The Tri Main Building in Buffalo is an imposing structure, originally built by Henry Ford's favourite architect and was one of the first factories outside of Detroit where Ford would build his iconic cars. But this is an aviation website and the really cool thing about this building is that during the war, Bell Aircraft (see my Bell Aerospcae page) used the building to develop the top secret P-59, America's first kick at the can of a jet fighter. Although Bell's plant was just minutes down the road, the Tri Main offered some advantages for the discrete development of a new type of airplane; first, the multi story building was built with massive supports to carry the weight of Ford's auto manufacturing equipment- building an airplane would require such robust construction. 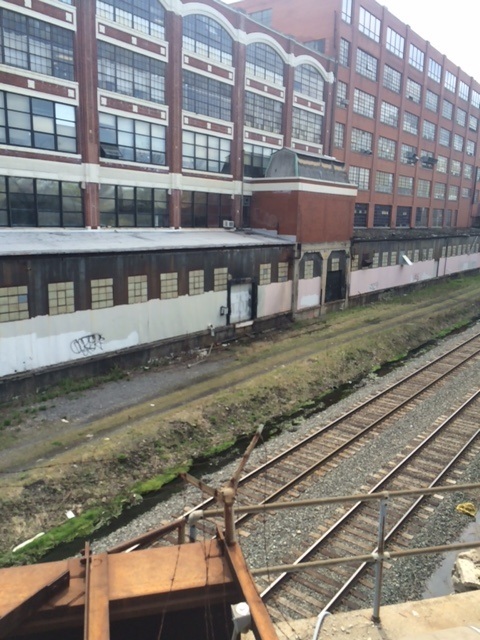 Second, the site was far enough removed from the factory to avert attention and railroad tracks running adjacent to the building would make transporting goods in and out relatively easy while maintaining a low profile. 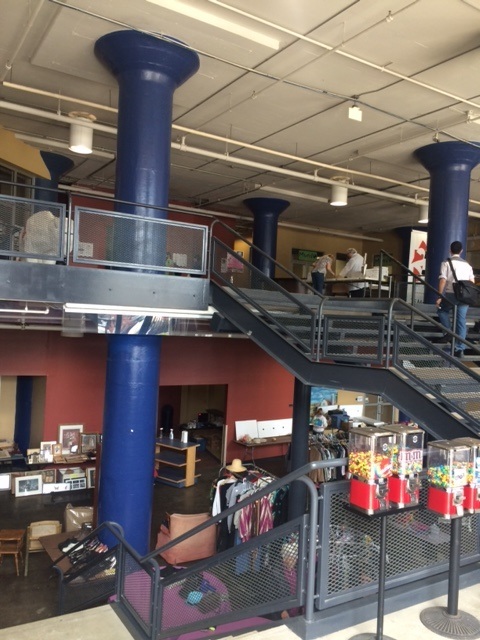 The main foyer inside the Tri Main building-the massive pillars were designed to support unusually heavy loads. 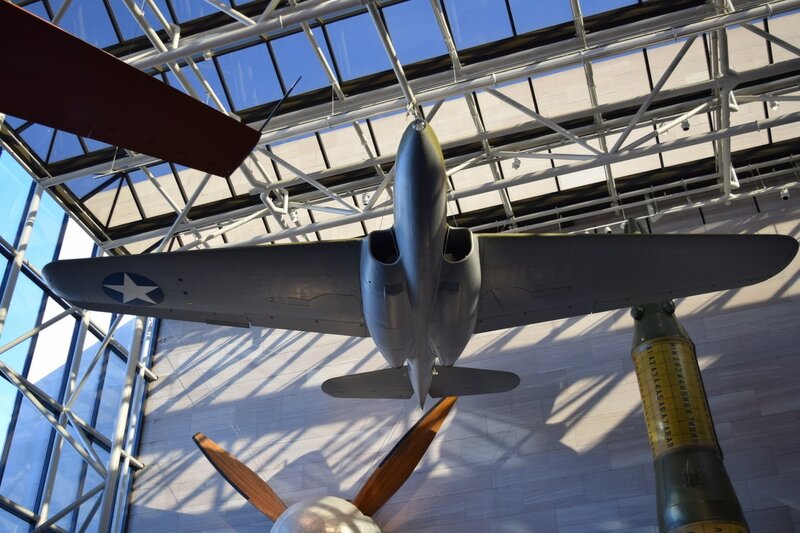 Bell's first fighter jet hangs in the Milestones atrium in the Smithsonian, Washington DC. The building inside is massive and one almost needs a gps to navigate. 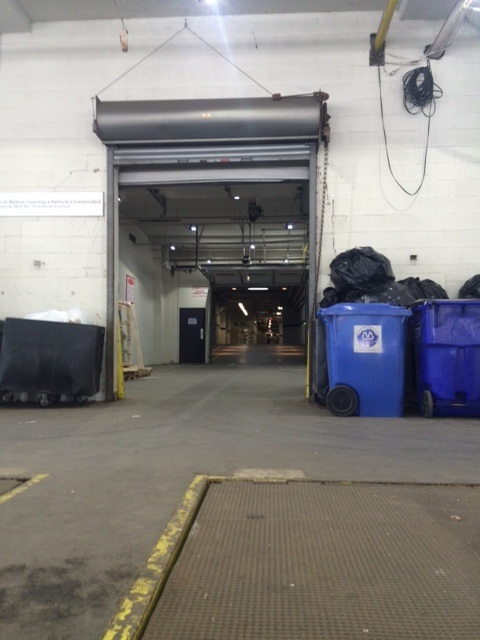 Open loading docks reveal a cavernous basement. 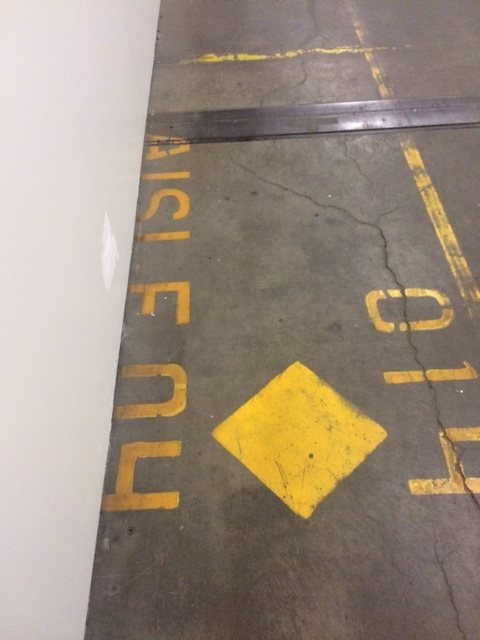 A side rail was constructed during the war adjacent to the building and holes busted out of the wall below grade where the main train tracks ran parallel to the building. From this discrete location, the P-59 was loaded onto a train parked beside the building in the middle of the night and secretly snuck out to California for flight testing. If you look carefully, you can see some of the windows that were painted over with black paint to keep prying eyes from seeing what was going on inside as well as the siderail that allowed the traincar to pull up close. Originally set-up on the second floor, the project apparently eventually enveloped the entire building. 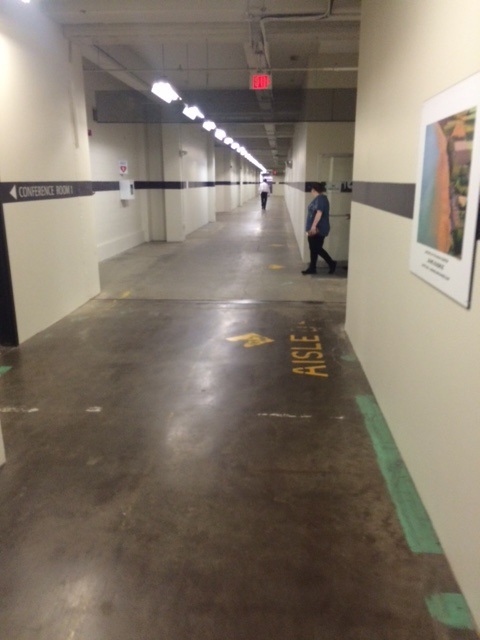 Most residents of the building today are likely unaware of its' storied past. 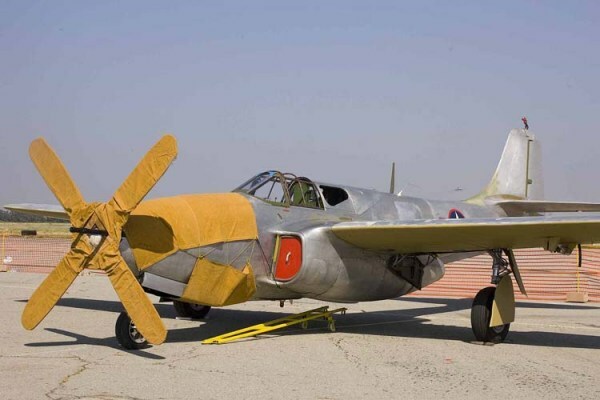 The P-59 disguised with a fake propellor. Tri Main building from Main street. The P-59 did not end up being a mass produced fighter (only 66 were produced) but they did serve the purpose of introducing fighter pilots to jet aircraft and their unique handling traits.